« GP Hutchinson Scores His First Number One Bestselling Western For Dusty Saddle Publishing! Immediately after the Civil War, the South began transforming under the new Reconstruction laws. Many Southerners were losing everything they had, many more people than just those few who had held slaves. While most tried to stay and hang on to the decorum of Southern gentility, a few decided that rather then lose their family farms and businesses it would be better to build a new life elsewhere. This is the story of one such group, who determined that their future and the futures of their friends and families was to be found in Texas. 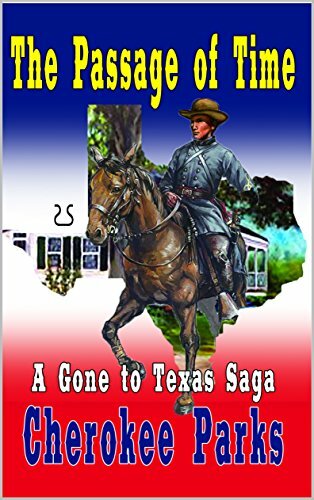 Jed Simpson and his partner Roscoe Sartain are joined by families from both North and South, black and white, and on the advice of a fellow Confederate, they stop in Rusk. Finding an old, now vacant, plantation, they manage to buy it and start rebuilding it as a small ranch, The Chalice. All is going better than any of them expected, until Jed’s past comes calling. Aided by friends both new and old, blood flows freely as Jed tries to put that past behind him once and for all. But the toll it takes may be too much for him as he faces down the last of his tormentors. You can download your copy by clicking here.